The Continuum II Blog: Transferring your life insurance policy..is it right for you? Transferring your life insurance policy..is it right for you? 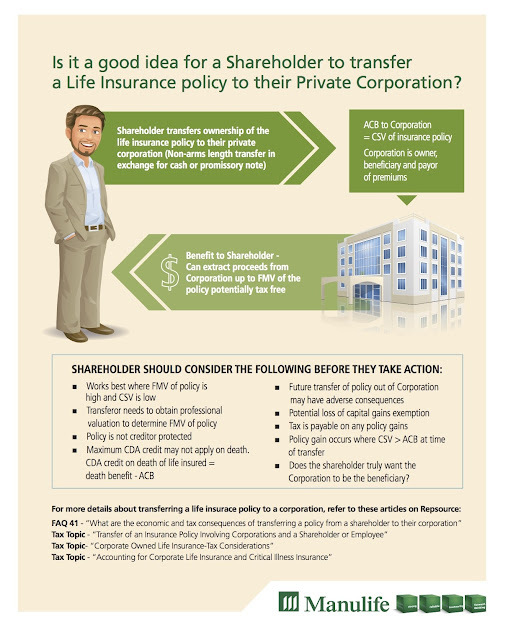 Are you a Shareholder thinking of transferring your life insurance policy to a Private Corporation? Before taking action, you may want to consider the following..